The whole point of managing supply chains is to make sure your customers’ needs are taken care of. 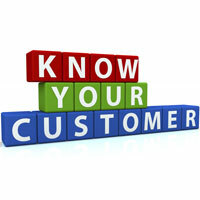 You want to have the right parts and products on hand when your customers are ready to buy them. That’s how your business can enjoy steady growth and health. But every business is different and their target customers don’t have the same buying habits. So it stands to reason that there’s no one-size-fits-all approach to supply chain management. For example, if you’re a manufacturer who mostly supplies government contractors or large organizations with pipes, metals, textiles, etc. you probably don’t need to keep a huge amount of inventory in stock. You can get away with having longer wait times. But if you supply consumer products to retailers, you probably don’t have the luxury of long lead times and you need to make sure your customers stay well-stocked. Thus, you need to keep more raw materials in your warehouses or other facilities so you can act quickly when orders come in. Your customers’ needs affect your storage space, the number of items on your shelves, your reordering practices, and many other parts of your business. As long as you know your customers, you can stay on top of your inventory and achieve the end results you want: happy customers, operational efficiency, and conserved resources. This entry was posted in Supply Chain Management and tagged business, Business Success, Customer Service, Inventory Management, Manufacturers, Suppliers, Supply Chain Management. Bookmark the permalink.